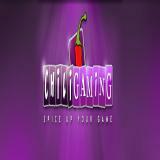 After its B2B division was acquired by Bally's Technology last week, ChiliGaming has announced that players at its ChiliPoker.com domain will migrate to fellow iPoker network site Poker770.com. The migration is expected to be completed today. In addition to the recent agreement with Bally, ChiliGaming last month revealed details of an online gaming partnership with US bricks and mortar casino giant Golden Nugget.